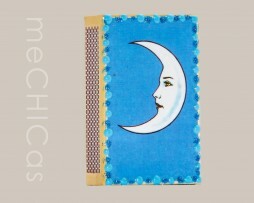 Hand crafted matchbox with a loteria image of the moon. 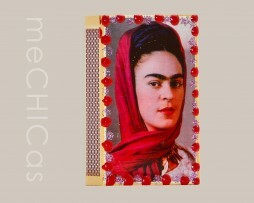 El Farol de los Enamorados. 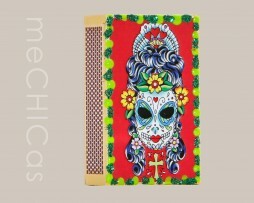 The glitter decorations on the edges may differ from the image. 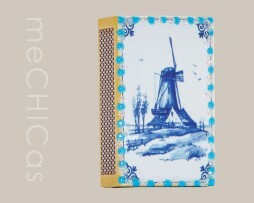 Hand crafted matchbox with typical ‘I ♥ Holland’ image of a Delft Blue Windmill. 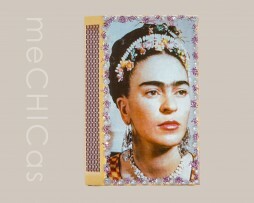 Glitter decorations on the edges may differ from the image. 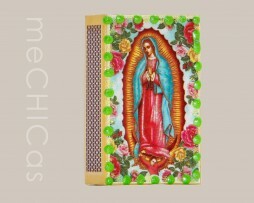 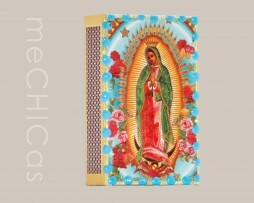 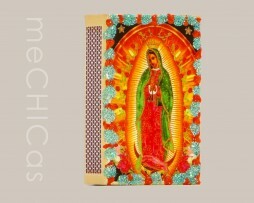 Hand crafted matchbox with a picture of “la virgen de guadalupe”. 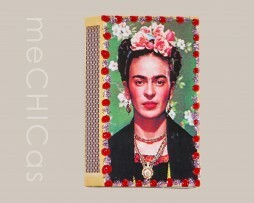 Hand crafted matchbox with a picture of Frida Kahlo. 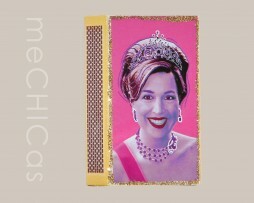 Hand crafted matchbox with image of Queen Maxima. 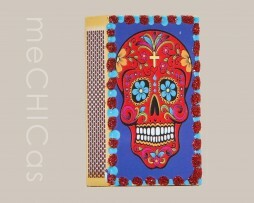 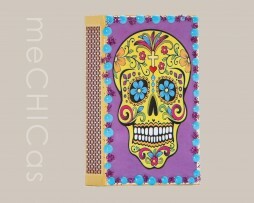 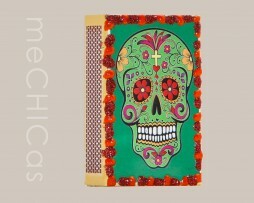 Hand crafted matchbox with typical image of a Mexican sugar skull. 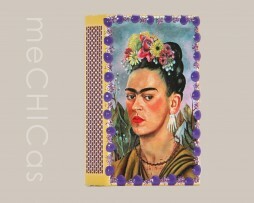 Hand crafted matchbox with a picture of Frida Kahlo in a blue dress. 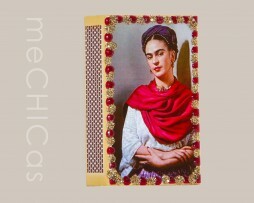 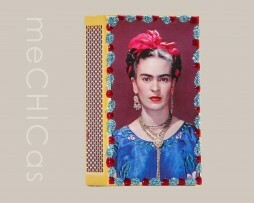 Hand crafted matchbox with a photo of Frida Kahlo.